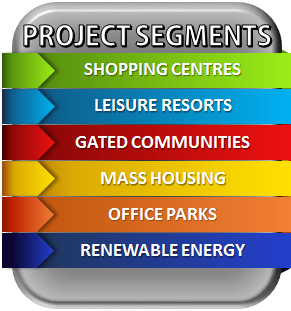 The MobileHub approach is to join forces with the historic project development teams of major assets in the segments as shown in the schematic rendering below, thus cutting the costs and time-lines of accessing the pertinent data and then compiling a Smart Technologies Convergence Plan for retrofitting purposes most substantially. The advance and consolidation into trade alliances, industry protocols and open standards of smart technologies in the spaces of AMR/AMI, IoT, M2M, billing and payments, mobility applications and data management present a major challenge or hurdle for the traditional professional disciplines in terms of technology clutter, untested technologies and their vendors, and technology life cycles. The MobileHub value proposition lies in bringing a multi-disciplinary specialist view of these technologies, couched in terms and figures familiar to traditional property development professional teams, and having amassed own most substantial experience in these fields. Smart technologies expertise is presented and accessed in understandable language, in known and standard project formats, and with filtered and best-of-breed suppliers. MobileHub services are pertinent to firms involved in the property development sector in respect of quantity surveying-, engineering-, architectural-, management and financial services. Numerous of the MobileHub deliverables are also pertinent to property development fund managers and other administrators of funds, particularly in the niche channel of funding of Renewable Energy infrastructure. DETAIL RE MOBILEHUB SMART RETROFIT AT WWW.SMARTRETRO.CO.ZA .